Finding talent for your business can be hard right now, being in a candidate-driven market. Not only are the most talented workers currently employed, but they also know that they don’t have to take just any job. The talent gap is widening, and candidate perception is everything. One of the biggest issues affecting the candidate perception is the gaps in the interview and offer process. A long interview process and an extended waiting period for an offer can give your candidates pause. They begin to wonder if you really want them, or if the position is really important to you. It makes them question if every business decision takes this long to make. It is also off-putting for a candidate to see and hear inconsistent messaging throughout the interview process, from day-to-day operations to the company’s five year plan. High-level candidates are very attuned to these inconsistencies and can grow wary of your organization when they are told different things by different people. So what are the solutions to these perception problems? Define your interview process. Decide, before you start the interview process, how many interviews you want to conduct, who will conduct them and in what format. Don’t interview people to death with nine interviews. There are only so many boxes you can check before taking a leap of faith. When you find the right person, begin formulating an offer early. If you go on a great date, don’t wait three days to call: if you have a great interview, don’t wait three weeks to formulate your offer. Create clear communication. Ensure the role is well-defined and consistently communicated with everyone involved in the process. Outline the top five things you need to see in an applicant to offer them the job. Communicate with the applicant early about how the process works and when they can expect to have an answer. Even if there are gaps, they need to know so they don’t back out early. Be considerate of your candidate. Have a designated human resources generalist, admin or other employee greet your candidate, introduce them to the interviewer and check in with them an hour later to make sure they don’t need anything. Be conscious of what you are asking from a candidate when you schedule each interview: days of PTO, extended travel or time away from their family. 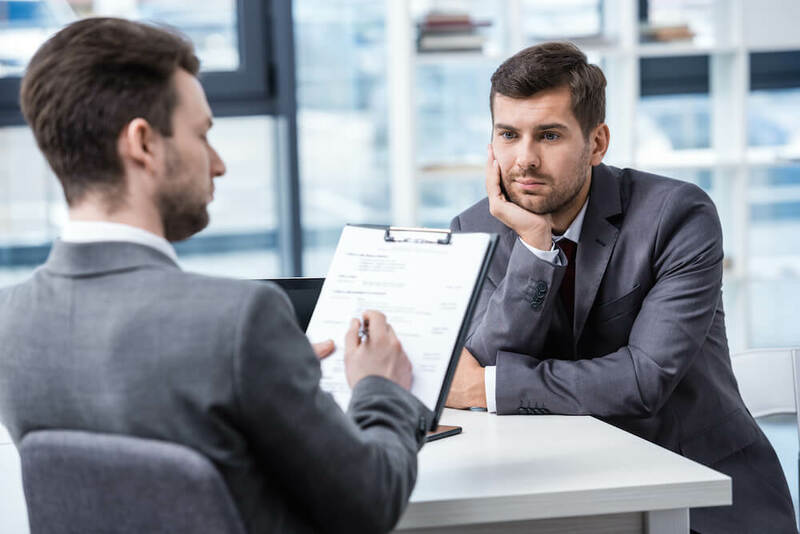 At Alliance Search Solutions, we drive the importance of the interview process early on, and use our expertise to consult our clients when they are seeking their next employee. We recognize that if your interview process is broken or has gaps, people will not want to work with your company. Do you need help redefining your own interview process or finding talent in this tight market? Give us a call today.